For your event, how important is the music? Would you like your guests to remember a good night or a GREAT night? One way to create a memorable night is to create good atmosphere and this is where I can help. 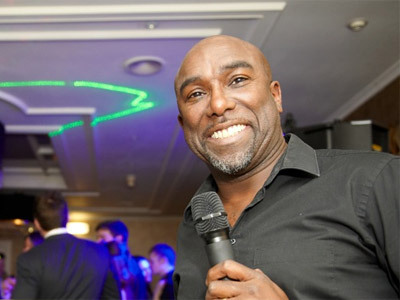 With over 30 years' experience and thousands of weddings, birthday parties and corporate events under my belt, I am in a position to help you make your special event a success. I provide the music that encourages people to dance, at a volume that is suitable for all. I welcome input from yourselves and your guests, by way of music choices, and play the right music in the right order, using my experience to work out what feels right for the night. I supply clear-sounding music from a professional sound system and my lighting is tailored to your individual tastes, ranging from tasteful, discreet lighting to full on nightclub-style laser based lighting. I always carry backup equipment of the essential items as all electrical items can fail at some point. So if you are in need of a friendly, organised, experienced, professional DJ - please get in touch. Required by many venues, Off The Record Disco has a current PLI policy with Mobile DJ Network in the amount of £10 million. Also required by many venues, Off The Record Disco has supplied satisfactory evidence of holding current PAT inspections of their equipment dated within the last 12 months. A Method Statement, outlining Off The Record Disco&apos;s Health & Safety procedure for setting up disco equipment has not been supplied. Why do people choose to book Off The Record Disco? Very helpful , good price and responsive. Seen him before at another event and he was great! Local, really friendly email, reviews, past experience. "Jerry was a delight. Courteous, helpful and charming." "Jerry was absolutely fantastic and made the party. He was patient with the kids, played all their requests, got them up dancing and was very professional and friendly. All the kids said that if there were to have a disco again, it can only be Jerry. He really was a star on the evening and the party wouldn't have been the same without him. We were simply delighted." "Jerry was really great, he was very polite and was able to fulfill all requests. He was a really asset to the party. I would definitely recommend him and will use him again." "That is very kind of you to say that, I loved meeting you all. " "We hired Jerry on a whim and we were so glad we took the plunge. Jerry was absolutely fantastic. Pleasant and professional, great selection of music and he engaged and interacted well with everyone throughout the evening. He even gave the little ones the opportunity to step up and get involved which they thoroughly enjoyed. We received plenty of positive feedback from our guests and wouldn't think twice about booking him again. Thank you for a fantastic party! Mum had the best time so great success all round. " "Thank you for your lovely review...........Good job? Professional? Are you sure it was me? Once again, thank you and like I said on the night, I very much hope that our paths cross again in the future." "Very professional and was quick at setting up and packing up in a short time scale. Was great with the kids with music choice and games. Would definitely use again if needed and made my little girls birthday one to remember. " "Thank you for your kind words. I think having a six-year old mental age certainly helps!" "Jerry is fabulous!!!!!! Such a fun, super DJ. He was excellent with the guests at my son's 11th birthday disco - they all loved him! I am so pleased I picked him; he patiently and helpfully answered my queries in the run up to the party, was informative, reassuring and personable in his replies, and on the day arrived in good time. He played the (80s) songs my son requested along with a more current selection to ensure all were entertained, threw in some games (everyone was up and loving 'the Mummy') and did some dance moves which the kids (especially those less confident about dancing) enjoyed copying. I can't praise him highly enough. Everything ran easily, smoothly and it was such a great evening. I even got to dance, too! But most importantly he made Alfie feel really special. Thank you Jerry, you truly rock!! " "Wow! Are you sure you're talking about the same Jerry?? Seriously though, thank you for your kind words, I was only trying to do my job. The fact that I LOVE my job does make it a joy for me!" 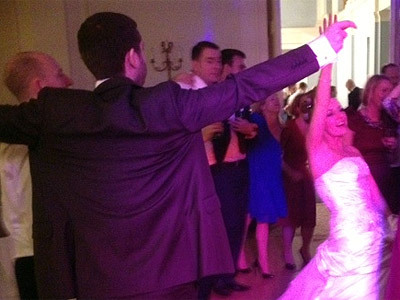 "Jerry Was the perfect choice for us, he listened to exactly what we wanted, and he was great with the guests. A really nice guy, great at what he does and we wouldn't hesitate to recommend him." "I'm blushing here....... Thank you very much. " "Just wanted to say Jerry did a FANTASTIC job for Mum\'s 60th birthday Party. In the run up to the party, he was readily available to answer any questions , and always returned calls. On the day, he arrived on time, and was very professional. His interaction with the guests and over the mic was great, and guests were wanting to know how to book him for future events! Great job Jerry!" "You must have got me mixed up with someone else! Just kidding, thank you for your kind words, you are very generous! " "Jerry was fantastic. He met us beforehand to chat through everything we wanted and on the day he was professional , fun and was a special part of the day . We will always keep him in mind for any special occasion in the future and highly recommend to anyone else"
"I have been very fortunate in the fact that I have worked for the majority of lovely people over the years. Your appreciation is the reason why I work as hard as I can to make your day as special as it could be. " "I cannot speak too highly of Jerry Shillingford and the service he provided. This was the first time I had hired a disco and DJ but I chose him because he seemed to be starting out (e.g. fewer refs than his competitors) and he came across as very genuine. I was not disappointed. Many of our Party Goers spoke highly of him and I will certainly invite him back on a future occasion. Andy Owler RNLI Local Chairman." "Thank you very much, I am looking forward to entertaining you all again very soon!" "Jerry is the perfect DJ - he was extremely well presented, well organised, friendly, helpful, and polite throughout the process. I would not hesitate to recommend him and have indeed already done so. Only one very small criticism was that the music was a little loud and people were trying to chat and catch up and they found it difficult; I only found that out following feedback through the week; but as far as I was concerned on the night everything was great and I (the birthday girl) had a fantastic night! If someone had mentioned the volume on the night being a problem, I would have told Jerry and I am sure he would have adjusted it accordingly. As far as I am concerned the party was a 100% success and Jerry was brilliant. I would definitely use him again without question. A lovely man and not on an ego trip like so many other DJs! First class job." "I had a great time too and like you said, if I had been alerted to the sound level being too loud for some of your guests I would have immediately turned it down!" "A major contribution to what was universally described as a brilliant party"
"Playing the customers requests and seeing the positive reactions to them is the thing that keeps me enjoying my job!" 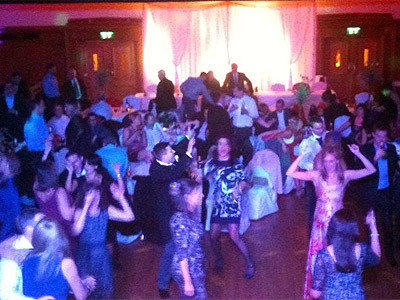 Off The Record Disco also offers a range of additional party services not directly linked to musical entertainment. If you are contacting Off The Record Disco about an event, it's always a good idea to include the DATE, LOCATION, EVENT TYPE, AGE GROUP and TIMINGS to speed things up!